Have you been arrested for your third DUI in 7 years? Are you facing a DUI and you had a child under 15 years of age when you were pulled over? If you can answer yes to either of these questions due to the severity of penalties and potentially life-changing implications of conviction, it is crucial for you contact an experienced DUI Defense attorney in Phoenix to defend your freedom. If you are found Guilty of an Aggravated DUI under ARS 28-1383, there are “mandatory minimum” sentences. For example, if convicted, you must serve a minimum 4 months in the Arizona Department of Corrections. If on the other hand you are granted probation, it can last up to 10 years. Furthermore, if this is a first felony conviction and you are not granted probation, you would serve 1 - 3.75 year. This is considered a Class 4 Felony. A class 4 felony is punishable by a maximum punishment is 3.75 years in prison, 4 years of probation and a fine of $150,000 plus surcharges. This is considered a Class 6 Felony and the following outlines the penalties if convicted. A Class 6 felony carries a maximum punishment of 2 years in prison, 3 years of supervised probation and a $150,000 fine and surcharges. Aaron Black aggressively defends his clients charged with aggravated DUI, ARS 28-1383, and many of his client’s cases result in dismissals, not guilty verdicts, no jail time, or substantially reduced charges. If you are facing an aggravated DUI, don’t take a chance with your future. 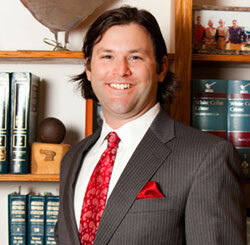 Contact the Law Office of Aaron Black or call for a free consultation at 480-729-1683.